Are you planning a Frozen party? Check out these amazing Frozen cakes for inspiration! Is your child begging for a Disney Frozen Birthday Party this year? Well, we don’t blame them. 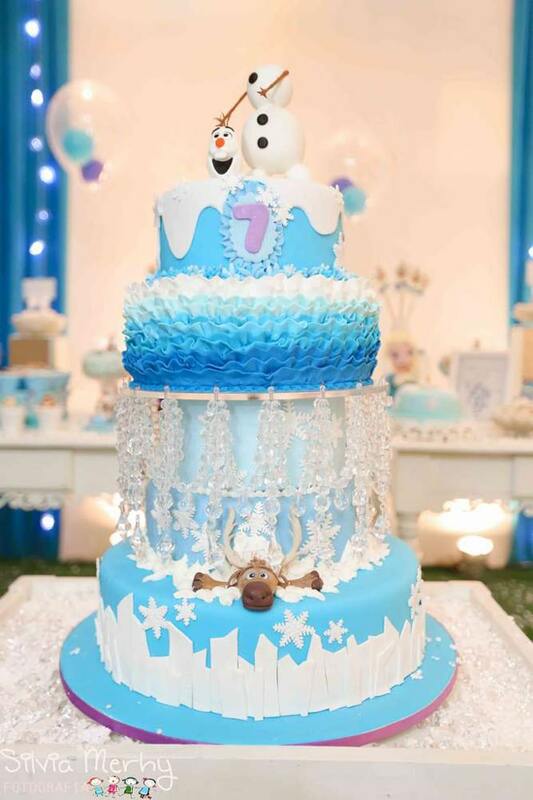 Frozen is one of the most popular birthday party themes right now. With everyone anticipating the release of Frozen 2 in 2019, we can see why this movie and party theme are in high demand. 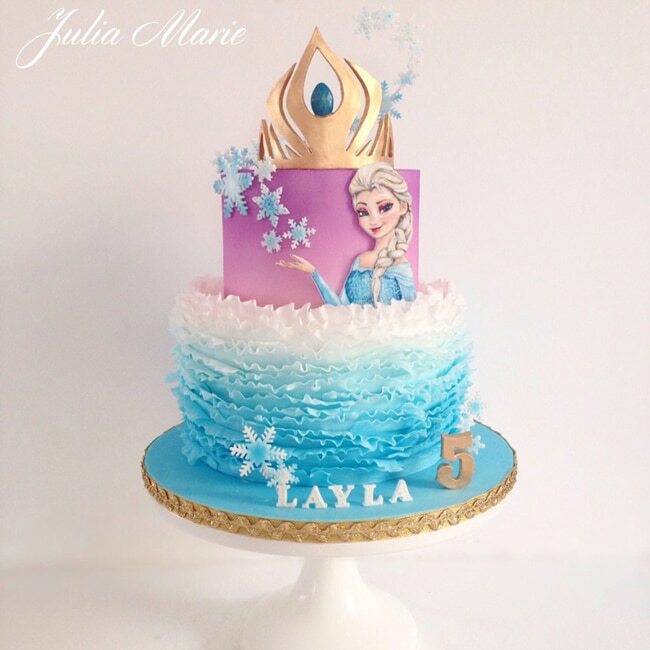 If you’re planning a magical Frozen themed birthday party and need ideas for a Frozen cake you’re at the right place. 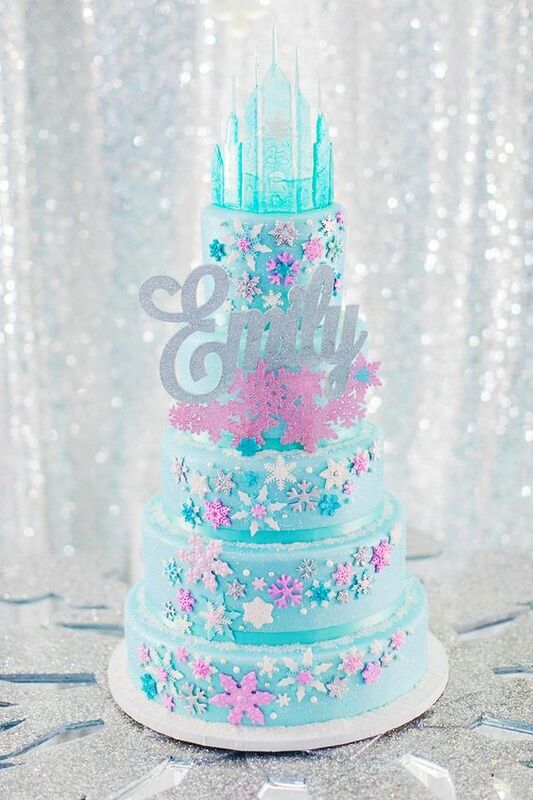 We’ve rounded up the best Frozen inspired cake ideas for your little ice prince or princess. Since its release, Disney’s Frozen has earned billions of dollars worldwide and became one of the highest-grossing films of all time. Because of its popularity, it’s no surprise that Frozen is still one of the most requested Disney birthday themes today. This party theme can be done is a variety of ways. 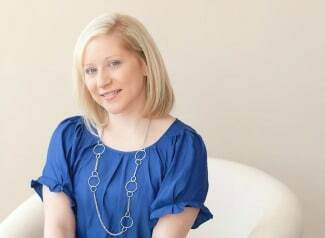 The icy blue color is the most popular but you can add lavender and pink too! It’s really up to the birthday princess and her favorite colors. Whether you’re going big or small, choosing the right cake design is key. If you love baking and want to make a Frozen cake at home, check out this video tutorial from Cakes Step By Step. If you want to know how to make a Frozen Princess Cake, the Nerd Nummies walk you through how to make one of your very own! 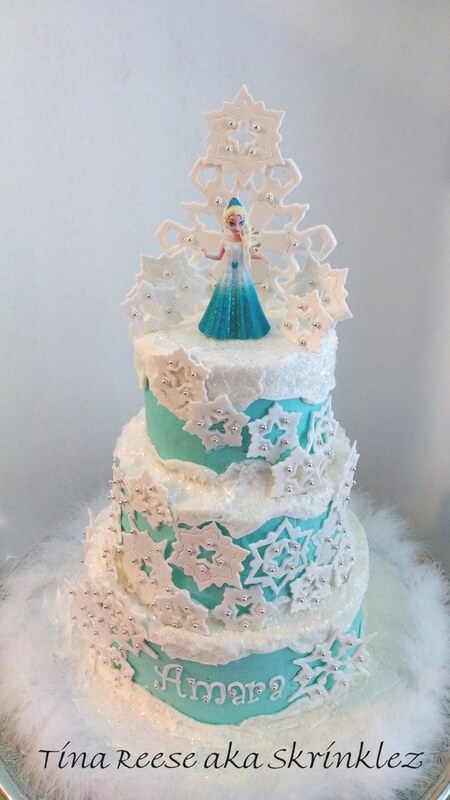 The cake is one of the most important elements of a party and a Frozen cake is a must to complete your fabulous Frozen-themed birthday party. And boy, do we have tons of Frozen birthday cake ideas for you! 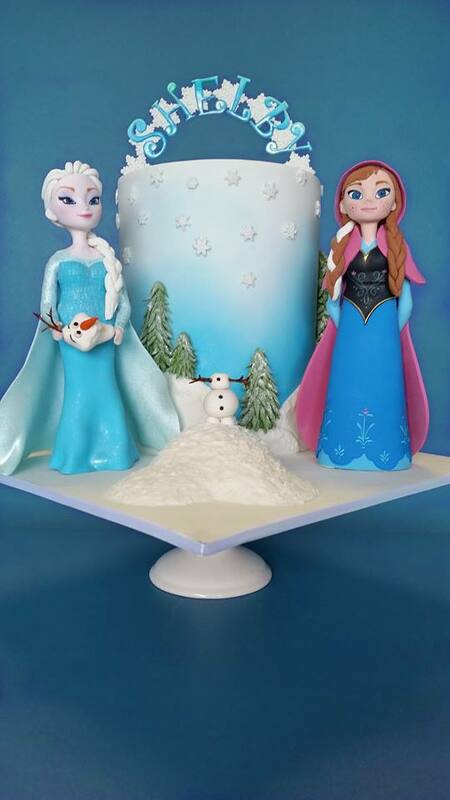 Maybe your little ice princess or princess is looking for an elaborate Frozen themed ice castle cake or one that features her favorite princesses Anna or Elsa. We can’t forget about the adorable Olaf. No matter which characters you choose to adorn your Frozen cake, we’re sure it will look fabulous if it’s like one of these cake ideas! We’ve searched high and low and rounded up our favorite Frozen cake ideas. 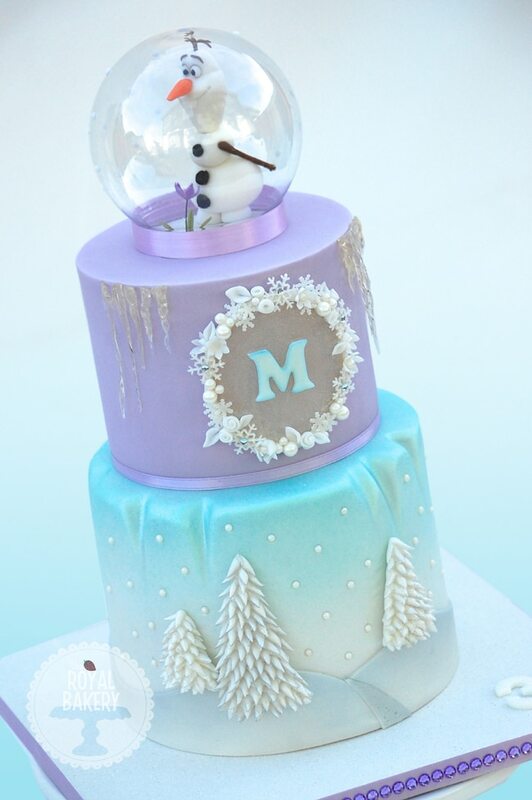 Some of our favorites include a Frozen-inspired cake with an Olaf snow globe cake topper. 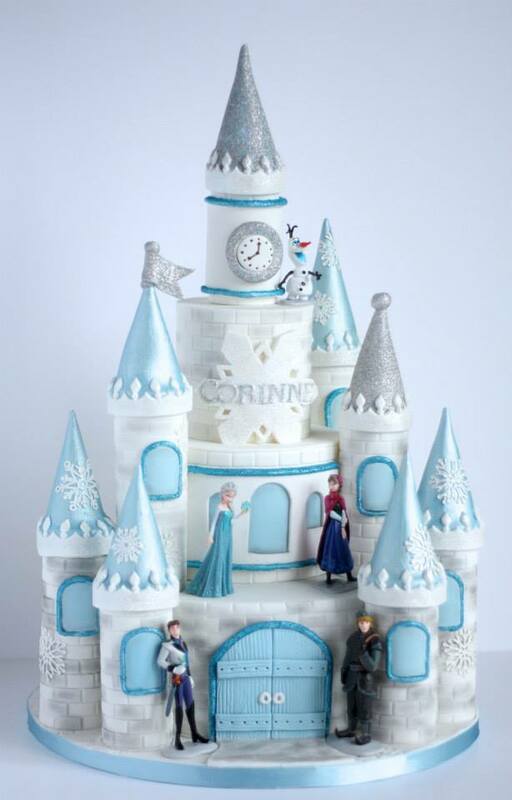 Another favorite is the incredible frozen themed castle cake! We’re certain you will find your favorite Frozen themed cake in this collection of 15 Amazing Frozen Inspired Cakes! 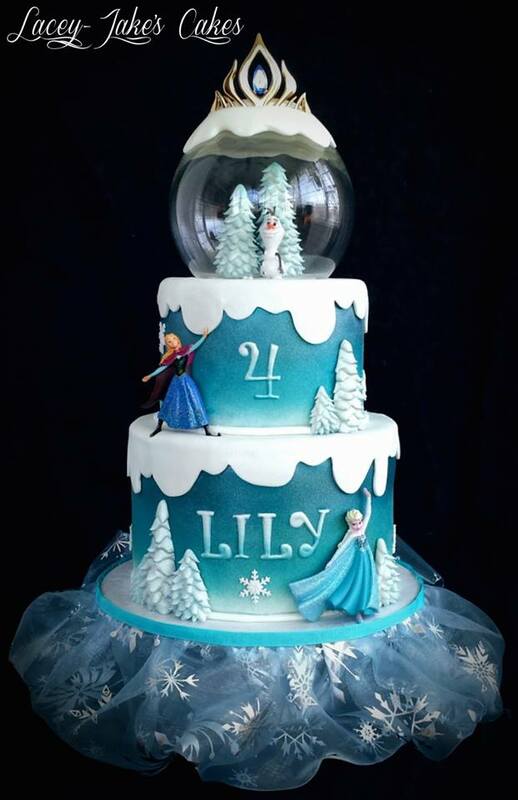 This stunning Disney Frozen Snow Globe Cake is an absolute delight! Just check out all the exquisite details. The snow globe matches the elegant frosting, making it the perfect Anna and Elsa cake for your birthday celebrant! 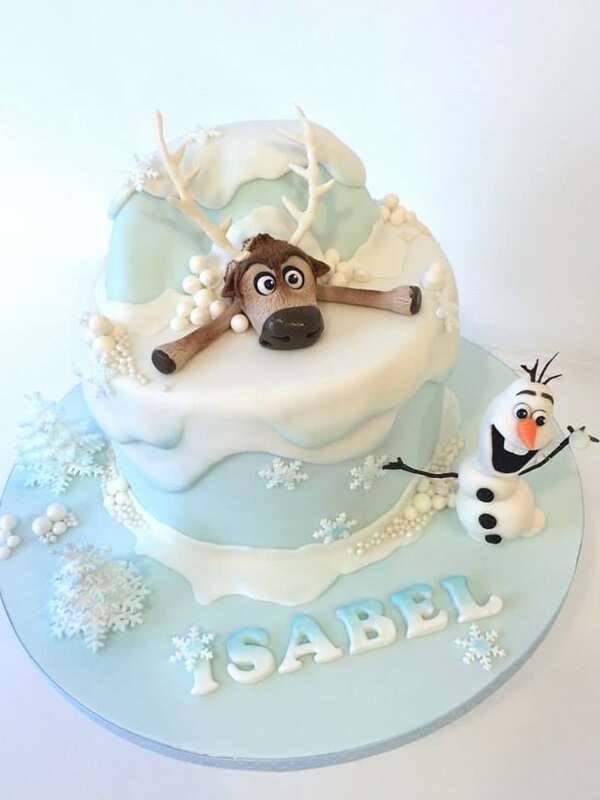 This adorable Frozen Cake by Little Cake Cupboard certainly won’t disappoint – not with Olaf and Sven joining your Frozen birthday party! What better way to celebrate your princess’ birthday than with a Frozen Castle Cake from Cheeky Munch Cakes. From the shiny towers to the intricate snowflakes, this Frozen birthday cake sure has a lot of WOW factor that will impress kids and adults alike. No Frozen birthday cake is complete without Anna and Elsa or Olaf, and this Frozen Cake from Unusual Cakes For You has them all! 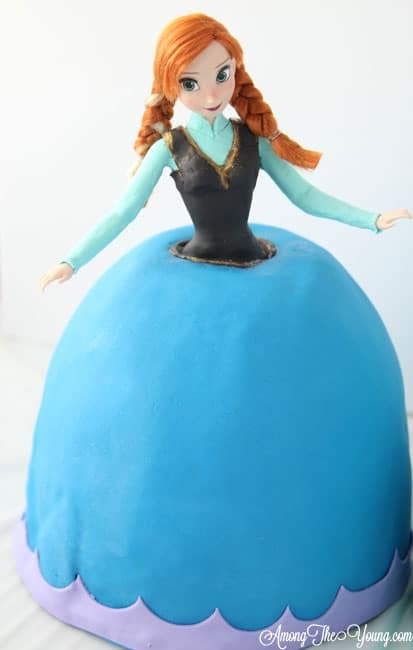 Your little princess will be absolutely thrilled with this beautiful Frozen Anna Cake! Out of all the Frozen characters, Anna is a perennial favorite. 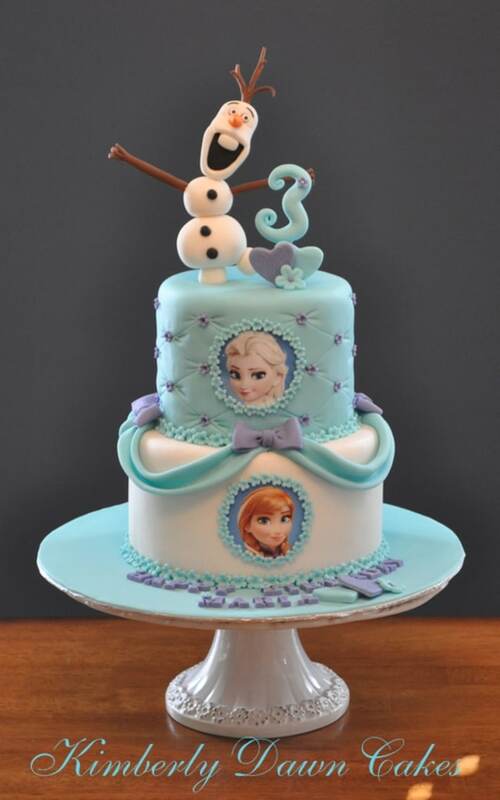 If your daughter loves Anna, then she, along with her friends, will adore this Frozen cake as well. Let’s not forget Elsa though. 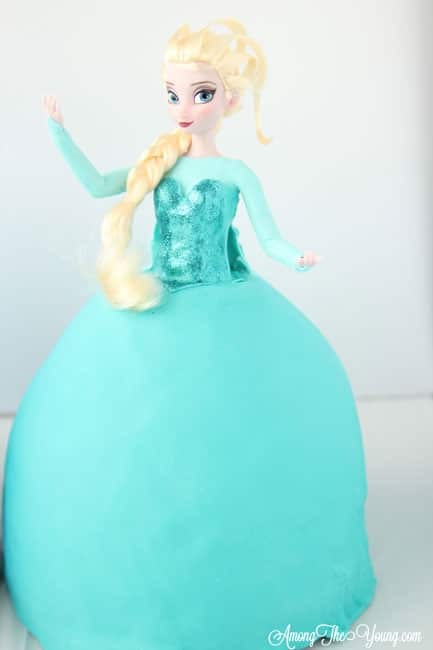 This Frozen Elsa Cake is a showstopper! From her hair to the gown, this Frozen cake is sure to enchant all the guests at your special occasion. How about this exquisite Frozen Birthday Cake that’s fit for a queen? Well, Queen Elsa, that is. The crown cake topper and the scrumptious ombre frosting take this cake to new heights! Everyone knows that Elsa makes the perfect snowflakes and this Snowflake Frozen Cake is simply divine. Made with buttercream and fondant, this cake is not just a treat for the eyes but for the taste buds as well. What an adorable Disney Frozen Cake! Impress your little guests with this oh-so-dainty Frozen birthday cake. We’re loving the trimmings made of tiny yet perfect little flowers! And how about those charming little bows? Absolutely delightful! This Frozen Snow Globe Birthday Cake is beautifully done. While many prefer Anna or Elsa, Olaf is a star in his own right. Pop him on your cake and he is sure to add heaps of joy and sweetness to your special occasion! Can’t decide between Anna or Elsa? 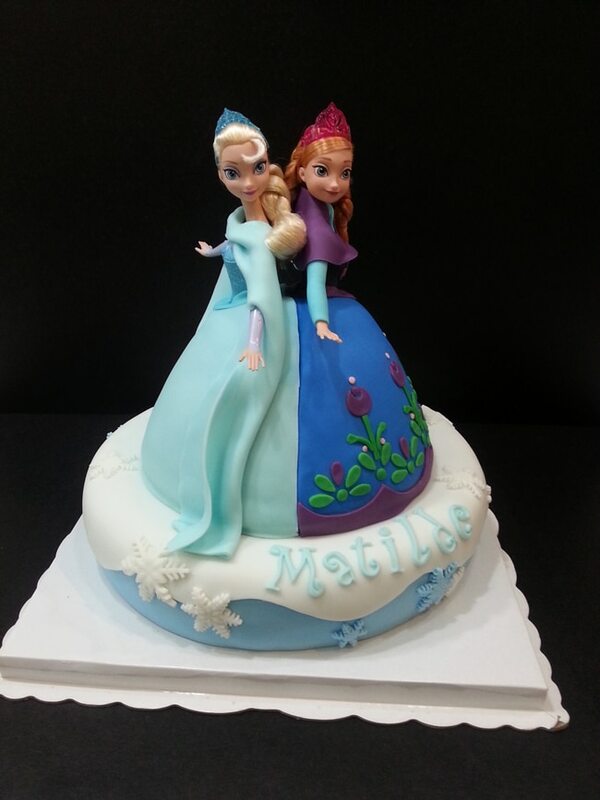 Why not choose both and go for this lovely Half Anna Half Elsa Cake. It a win-win! Now, this Frozen Elsa Birthday Cake is a stunner! If your little snow queen is rooting for Elsa, then she’ll love this Frozen cake as much as we do. Not only that, this masterpiece will make your dessert table look spectacular! A Frozen birthday party won’t be complete without this lovable snowman in tow. 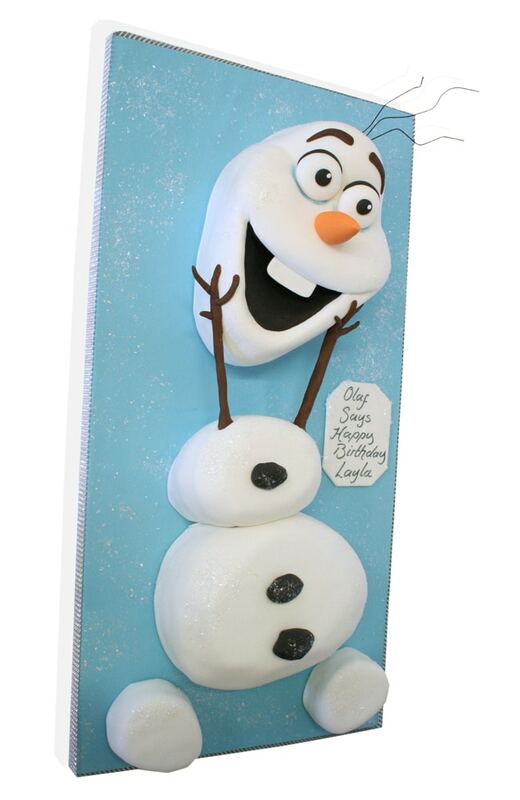 So if you love Olaf as much as we do, this delightful Olaf Cake is for you! Perfect if you’re on the lookout for cool Frozen birthday cake ideas! This Frozen Inspired Cake is subtle yet sweet. 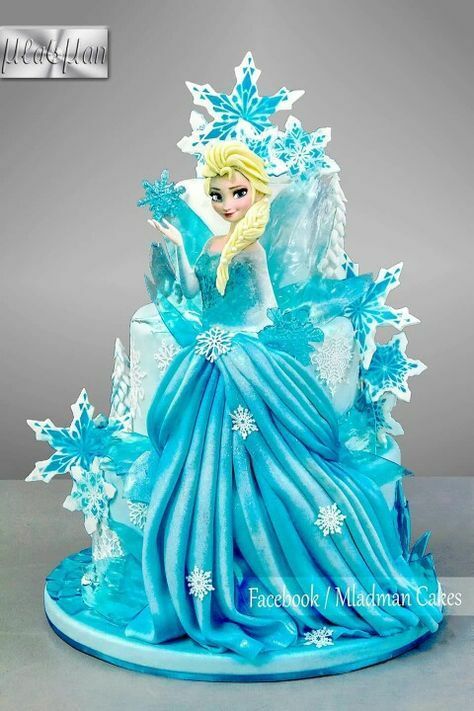 While you won’t see any of your beloved Frozen characters on this one, it’s still one of the most dazzling Frozen birthday cakes we’ve ever laid eyes on. Guests will surely be impressed by this exquisite cake! And there you have it, our 15 Amazing Frozen Inspired Cakes! Which one is your favorite? Feel free to post in the comments. We’d love to know. For more party ideas, follow us on [email protected] and Pinterest and join us in our private Facebook group. This is amazing. Thanks for choosing my castle cake to be included in this list. The Frozen Castle Cake in the pic? Yes hun.